Oh, how you dream of appearing in a calendar! Or painting your own beautiful scenery images! Or… well, you get the picture. We all dream of doing some really awesome things with our photos, but more likely than not, we don’t have the time, talent or money required. Sorry, I’m not going to offer a magic solution that can actually make these things happen, but I am going to tell you about Pho.to Lab. We’ve briefly covered Pho.to Lab’s iPhone version two years ago, but not only has it changed, it’s also sprouted a pretty cool Android version which I will be looking at today. Not quite. In fact, Pho.to Lab takes photo effects as we know them to a whole new level. It’s not as powerful an editor as Handy Photo (our review Want To Stand Out On Instagram? Edit Your Photos With The Amazing Handy Photo Want To Stand Out On Instagram? 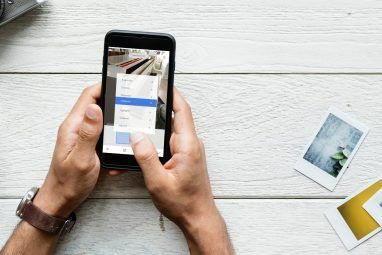 Edit Your Photos With The Amazing Handy Photo There's one thing to be said for Instagram: it got us all into a photo-editing craze. 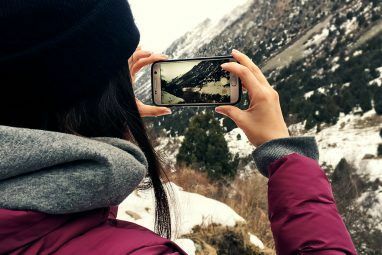 Not that editing photos is anything new, but with Instagram in the picture, everyone wants to be editing photos... Read More ) and it’s definitely not as chic as VSCO Cam (our review VSCO Cam For Android, Reviewed: A Hipster Haven, Or What Instagram Should Have Been? VSCO Cam For Android, Reviewed: A Hipster Haven, Or What Instagram Should Have Been? Here's a novel idea: Take pictures with your phone, then apply filters to make them look old-timey. What? Heard this one before? VSCO Cam takes it to the next level. Read More ), but it lets you apply all sorts of crazy filters easily, quickly, and for free. If all you want for your photos is a slight yellow tinge or a retro-looking border, stay away from Pho.to Lab. If, however, you want to truly have fun, this is the app for you. Pho.to Lab’s free version is ad supported, and while most of the filter packs are included, some are pro only. Getting rid of the ads and grabbing all those pro effects will cost you $3.99 on Android and iPhone, or $4.99 for the iPad version. What Can You Do With Pho.To Lab? I must admit, I’ve never really heard of Pho.to Lab prior to last week. When one of their PR people emailed me, I didn’t even notice at first that she took the liberty of using my public profile picture to demonstrate the app’s capabilities to me. When I did notice it, I wanted to be angry, but really, how can you be angry about this? It’s just too funny. And yes, my interest was piqued, because while filters like this are not something I would use every day, it’s definitely different from the usual (and very boring) effects I normally see. And this, my friends, is what Pho.to lab can do for you. But this is only the beginning. Pho.to Lab lets you choose from 18 different effect categories ranging from light and color effects to “New Reality” and magazine covers. Each of these categories includes at least 10 different filters, although some include many more. Aside from those, there are also 10 seasonal categories, which currently revolve around snow. And these are just the free ones. So how easy is it to apply these filters to your photos? 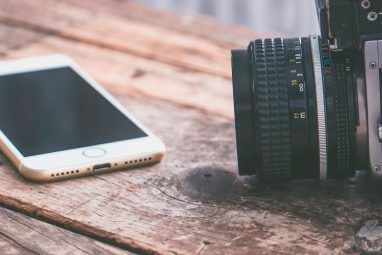 Incredibly so, as long as the photo you want to use is saved to your gallery or Photos app, or if it’s on Facebook or Instagram. Using an image from your Dropbox folder, for example, requires several extra steps to export the photo to your phone, which is a bit annoying. You can also take a photo right there using your phone’s camera. Aside from applying filters, Pho.to Lab doesn’t have a lot of editing capabilities. You can crop and rotate your image, and that’s about it. Not very sophisticated, but seeing as you’re going to completely mutilate your photo in the next step, any additional editing is probably futile anyway. And this is as hard as it gets. Choose an effect, choose a photo, apply the effect, presto. It takes seconds for any filter to take effect, and the results, while they may not appeal to everyone, are certainly impressive. When your photo is done, you can download it to your device or share it using almost any app on your device. Note that the edited photo might not be as high-res as the original. In the example seen above, I used a 1024×683 original image, and the edited result was only 800×595. According to the developers, the maximum picture resolution for Pho.to Lab results is 1600×1200, but this changes according to the filter you use. As you can see, Pho.to Lab does apply a small watermark to your photos, but you can’t always see it. My guess is that it sometimes turns out to be white on white, in which case it’s simply invisible. The heart icon you see in the screenshots lets you save the effect to your favorites. You can also add effects to your favorites when you browse them, and then easily access them from the app’s home page or from the side menu. Is it tacky? Yes. Is it fun? Most definitely. Does it cost you anything? Not unless you can’t stand ads or simply must turn yourself into hamster. 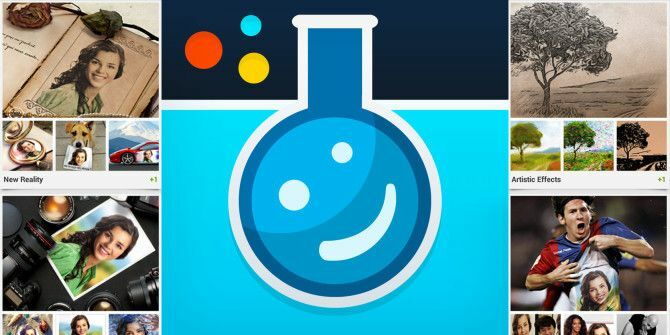 Let us know what you think of Pho.to Lab, and what’s your favorite photo-editing app! photofunia has done a similar app already..